Michelle has a passion for traveling and believes it is good for the soul. For each adventure, she values the time her family spends together creating memories that will last a lifetime, and she wants the same for her clients. Michelle takes frequent trips to Walt Disney World and Disneyland, and has participated in many runDisney events as well. She enjoys exploring Universal Studios for their larger than life thrill rides. Having sailed on all four Disney Cruise Ships, as well as several Royal Caribbean Cruise Ships to the Bahamas, Caribbean, and Alaska, Michelle has a vast knowledge of cruising. Michelle is constantly searching for a new destination to explore and learn about for her clients. She is a graduate of the Disney College of Knowledge and has recently attended Agent Education Programs at Disneyland and Walt Disney World. Michelle has completed training programs for Mexico, Hawaii, Seaworld, Universal Studios, and most major cruise lines. 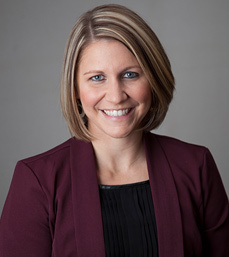 Michelle is an alum of the Univeristy of Nebraska and holds a degree in Business Managment. She lives in Plattsmouth, Nebraska with her husband and three children. When Michelle is not planning magical vacations, you will find her coaching soccer, volunteering with the PTO, or cheering on the Huskers! Whether you are planning a theme park adventure, cruise, or a beach vacation, Michelle will provide you with money saving tips to help you budget before and during your vacation. She will take the stress out of your vacation and her concierge level travel services will enhance your overall experience. From dining reservations to resort accommodations to personalized trip itineraries, she can help you with everything you need. Let her experience be your guide! Contact Michelle today if you’re ready to create memories that will last a lifetime!